While a common phrase, it is incorrect to call very flexible gymnasts double jointed especially if you want to appear knowledgeable. Flexibility is the key to looking good looking leaps and jumps. 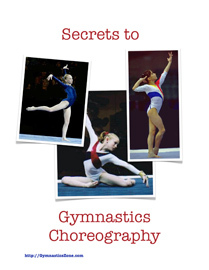 Learn what scientific studies have discovered are the fastest ways for gymnasts to improve their flexibility. Straddle Split: A split in which the legs are extended to the left and right, until a 180 degree angle between the legs is reached.